Manage End-Point Assessments in one place. Receive from your training providers, the learner records, conduct your End-Point Assessment and send the grade back to your training provider, all whilst the record remains available for your EQAP. 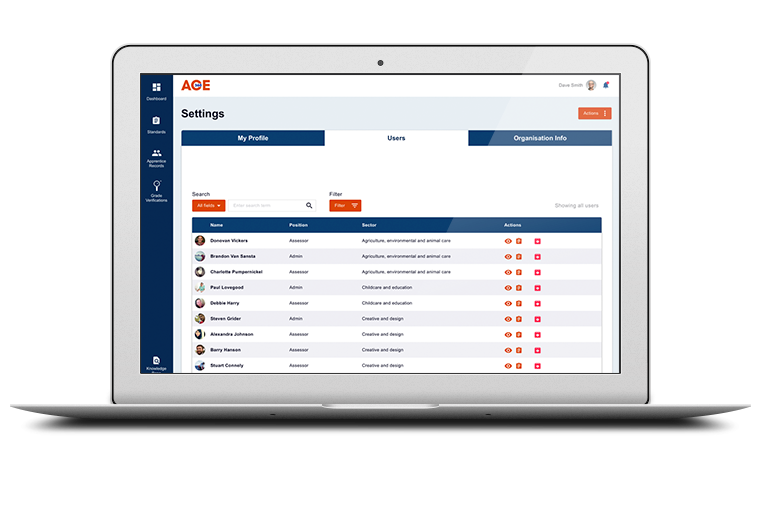 ACE360 is an industry-wide Apprenticeship management system that enables you to manage Apprenticeship Standards efficiently, securely, and paper free. ACE360 is an integrated Apprenticeship Standards management tool for all organisations delivering Apprenticeships, from learner enrolment through to Apprenticeship assessment. ACE360 has been developed impartially in conjunction with industry partners to ensure it meets the needs of the sector and is compliant with all relevant regulations. Secure, cloud-based technology enabling staff to securely manage records regardless of location. Add unlimited team members and allocate roles. Integrates with existing LMS and MIS systems. Single data entry shared securely with all your Apprenticeship partners to eliminate errors and re-keying of data. Identify future demand for your EPA services. 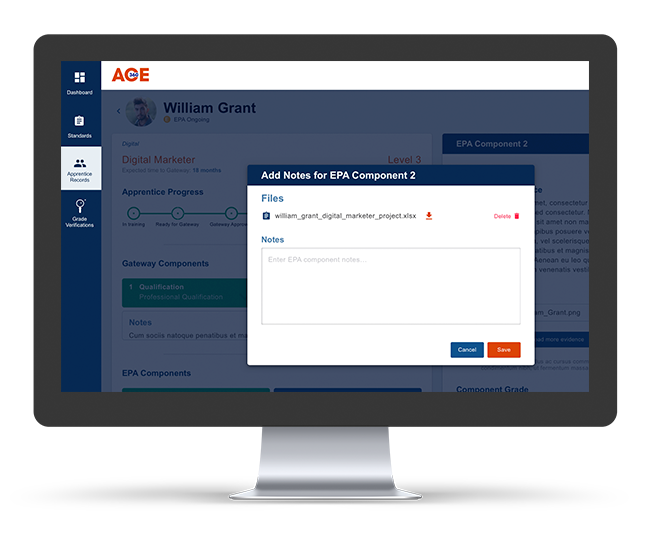 Provides a clear view of Apprentice progress against the Standard, with managed EPA component assessment tools built in. Audit trail of assessment decisions, supporting evidence, verification sampling and confirmed grades/fail decisions. A comprehensive database of ALL Apprenticeship Standards at Gateway and EPA component level. Bespoke Standards with a ‘knowledge base’; publish articles and link them to specific Gateway and EPA components to provide your customers with clarity during assessment. Confirm qualification achievement at source via a data link with the Learner Records System. Easy communications with Employers, Training Providers and External Quality Assurance Organisations with automatic alerts of assessment achievements and overall grades. Workflows, notifications and reporting are built in so that you won’t miss an action. Compliance with GDPR data legislation and industry standards. External Quality Assurance Organisation data requirements are covered. Integration with ESFA certification returns, ensuring that Apprentices receive their final award. 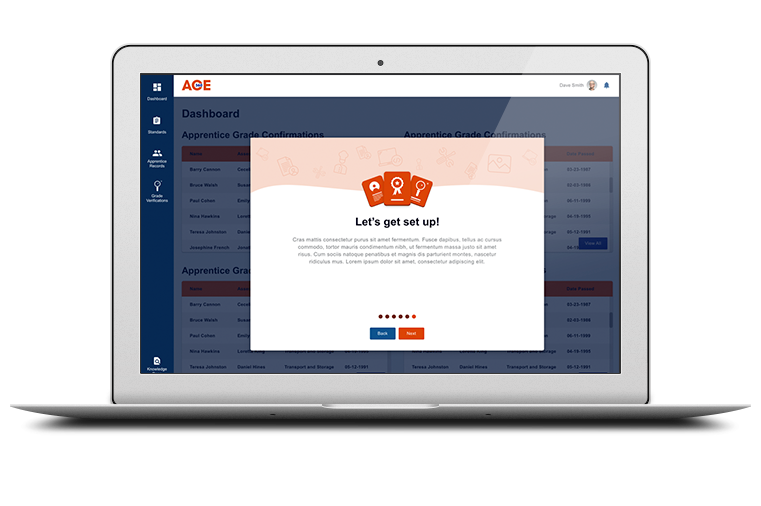 Sign up in an instant and start using the system immediately to help your organisation manage apprenticeship delivery easily. Helpdesk for ongoing support, which has achieved 98% satisfaction. Free to use – no charge for End Point Assessment Organisations.